The Samsung Galaxy S III (SGS3), rumored successor to the incredibly successful Galaxy S II, is a hotly anticipated device, so expect to be bombarded with rumors and supposed insider leaks until it becomes official. Samsung has stated that we will not be seeing the SGS3 at the Mobile World Congress in Barcelona this month, but rather at a dedicated Samsung event in the first half of the year. After Samsung threw the gauntlet to the rumor mill, we’ve heard of reports for a potential release of the SGS3 in March, April and July. Now you can add May to the mix as well, since a Korean publication citing industry sources claims that the SGS3 will be released in May. 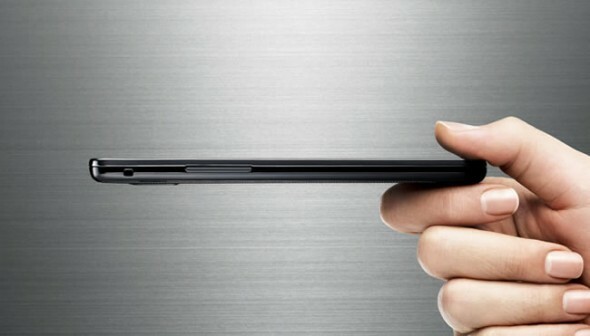 The publication also adds a new piece of rumored info, the Galaxy S III could be one of the thinnest smartphones upon release at just 7 mm thick, matching the Motorola Razr in thinness. The Samsung Galaxy S II currently measures 8.49mm thick. If you ask us, we’d trade one or two millimeters for a bigger battery. Motorola backtracked on the original Razr and released the Razr Maxx, after a couple of months, with double the battery life and still just 8.9mm thick. Rumored specs so far point to an Exynos SoC device, probably sporting the new Samsung Exynos 5250 SoC, 720p HD resolution and of course running Android 4.0 Ice Cream Sandwich.